For over 4000 years the Greeks have been producing the finest quality olives. 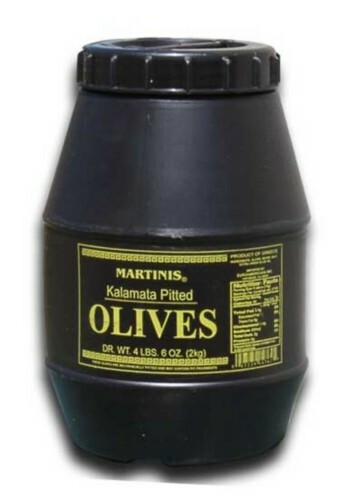 Martinis Kalamata Pitted Black Olives are large, 100 percent natural and have an excellent fruity flavor. They are originated from crops within the Kalamata and the Lakonian region that total over one million olive trees, company owned. Martinis Kalamata Pitted Black Olives are prepared in brine and packed in water and salt, and Extra Virgin Oil. Processed and packaged in state-of-the-art manufacturing and packaging plants have the capability to produce the finest grades of olives and olive oils selected only from the Kalamata region.